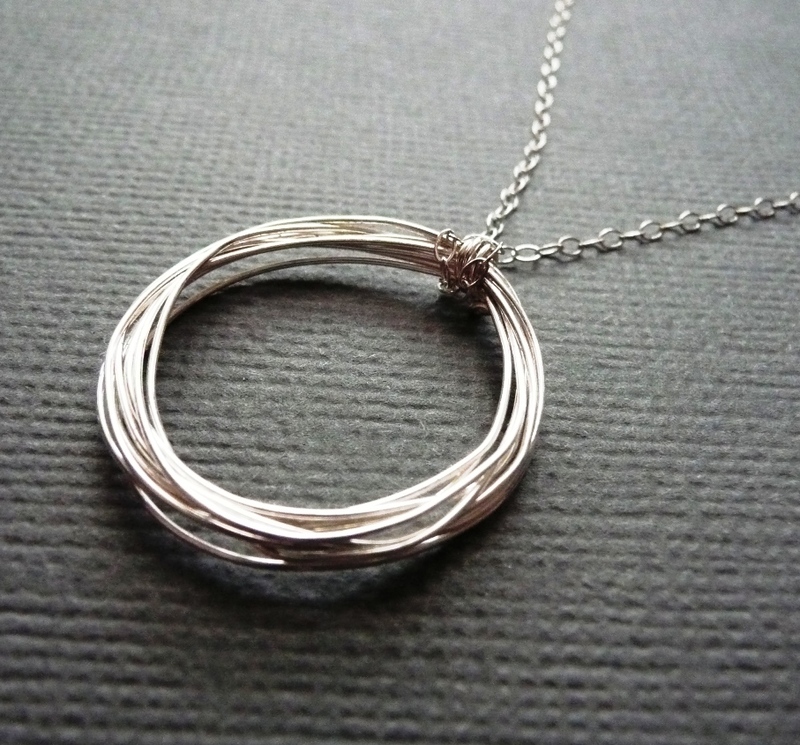 This handmade necklace is made by wrapping sterling silver wire to create a unique and contemporary design. 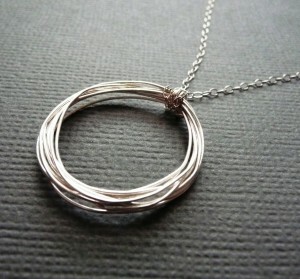 The Circe necklace has a depth and 3 dimensional feeling to it, due to the nature of the wrapped wire. The Circe Pendant is 1 inch/2.5cm in diameter, and is on a fine 18-inch sterling chain. I also make matching Circe Earrings.